A Godsend For EDSA Commuters, New Stan Smiths, And 13 Other Things A Man Must Know This Week! Start the year right by having a healthy dose of man knowledge! New year, new BS resolutions, new innovations, and new tidbits about all the things that excite every bro's curiosity. Welcome to the year's first edition of The 15 Things A Man Must Know This Week! Read on for some brand new conversation starters this 2016! Sick of the MRT? Try the P2P bus system, which promises a faster and more comfortable EDSA travel experience. They’ll even have double decker buses soon! Don’t want kids, but the thought of having a vasectomy terrifies you? German inventor Clemens Bimek has invented a "sperm switch," which allows men to turn on and off their fertility at will via a switch inserted into the scrotum. Sounds scary and promising at the same time! Looking for motivation to stick to your "be more fit" resolution for 2016? This three-year-old toddler’s washboard abs and muscled arms should be the push you need. If this kid can do it, so can you! Driving lessons would be more fun if you had a team of funny guys backing you up, like this lucky girl who had Conan O'Brien, Ice Cube, and Kevin Hart with her while she’s learning the rules of the road. That and they were smoking something that will get you LOL-ing! Click here to know more about their hilarious trip! This robotic suitcase is straight out of the future: It can be tracked via smartphone, it functions as a powerbank, it can tell you your baggage’s weight, and it can roll along on its own on flat surfaces. 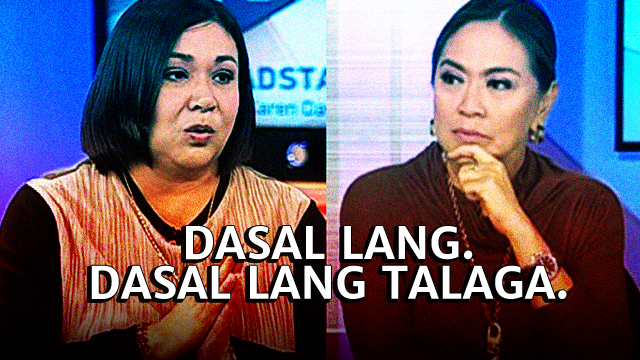 The million-peso question: Is it laglag bala-proof? Being Miss Universe sure has its perks. A gorgeous crown, a stylish wardrobe, pampering services, and a fancy NYC apartment, which Pia Wurtzbach will be calling home for a year. Check out her pad below! Speaking of Pia, you better mark your calendars as she’ll be back in the country on January 23. Long live the Queen! We all make bad decisions when we’re drunk. That’s why there’s Drunk Mode, an app made to a) stop you from drunk dialing, b) find you a ride home after a drunken night out, c) track your fellow drunkard friends, and d) help you remember the sordid things that happened if you even black out. Useful, huh? So Buzzfeed made their employees do a Bear Grylls—yep, they made the poor souls drink their own pee. Now aren’t you glad you’re at your current workplace? There’s no better way to ring in the New Year than with a snazzy pair of new kicks. 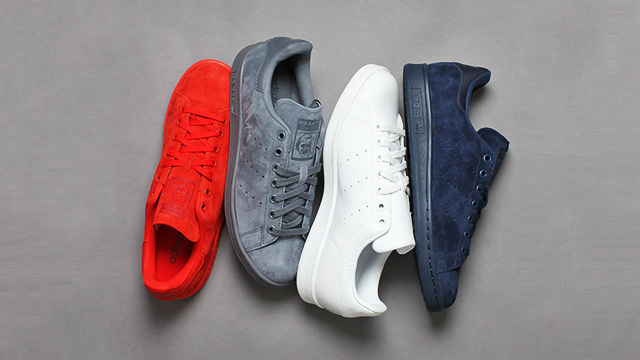 Our pick: these tonal suede Stan Smiths. Excuse us while we wipe our drool. A Filipino restaurant in NYC has come out with the Golden Cristal Ube Donut, a pastry with ube mousse, champagne frosting, and a 24-karat gold leaf. Now that's something we might regret eating! Got a crush on Pastillas Girl? Good news: She has stopped dating the Mr. Pastillas she found on It’s Showtime last year. Now’s your chance, bro! Need a pick-me-upper? 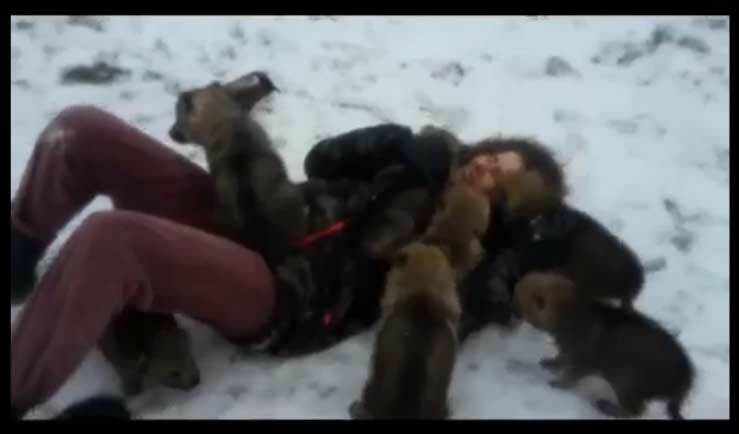 Witness this pack of wolf cubs attacking a lady with vicious wolfy kisses. We’re pretty sure that’s how it is in heaven every day. Click on the image below to watch the cute action unfold.